The Collectors Club Philatelist, a bi-monthly benefit of Club membership, is considered one of the most scholarly publications in all of philately. Published since 1922, our journal attracts authors from all over the world and is exchanged with numerous collecting organizations worldwide. We continue to welcome original articles that provide a source of significant information as well as commentary. Readers tend to expect a certain degree of consistency in a journal such as ours. To this end, the Editorial Board has prepared an Authors’ Guide and trust it will prove helpful. 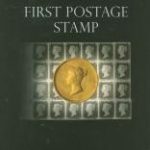 For more information or to submit an article for publication, please contact the editor of The Collectors Club Philatelist (CCP), Wayne Youngblood.